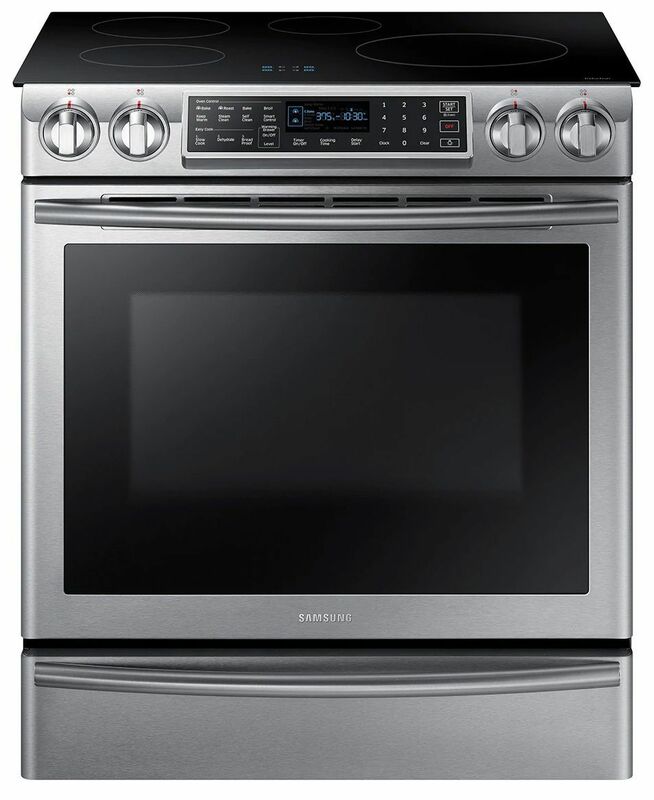 Cooking never looked as good as it does on Samsung's Virtual Flame induction ranges. 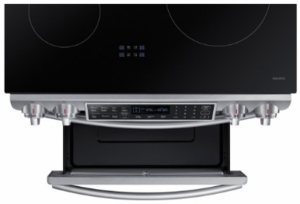 Utilizing the safe and contemporary technology of magnetic induction cooking, the cooktop gives the illusion of gas cooking by projecting a brilliant blue virtual flame onto the bottom of your pots and pans. Not only does it look great, but it also is a visual indicator that something is cooking and to be careful of hot pots and pans. 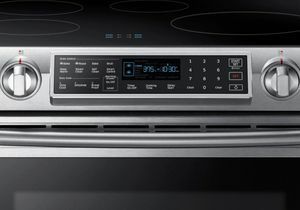 But, because the heat is generated in the pan and not by the cooktop, the cooktop is only ever hot by residual heat, it cools down quickly, and it's super-easy to clean after you've finished cooking. 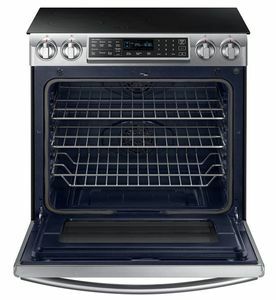 The oven boasts not one but two fans for precise and even convection cooking. 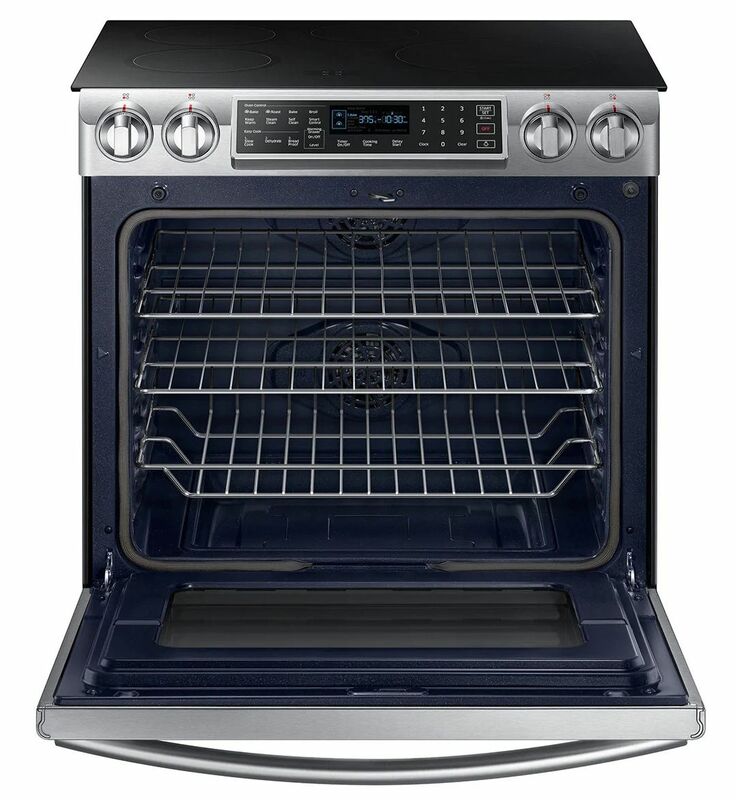 Heat is distributed and circulated throughout the entire cavity of the oven. Three oven racks let you cook everything at once. The Wi-Fi Connectivity allows you to remotely monitor your cooktop and oven for peace of mind. 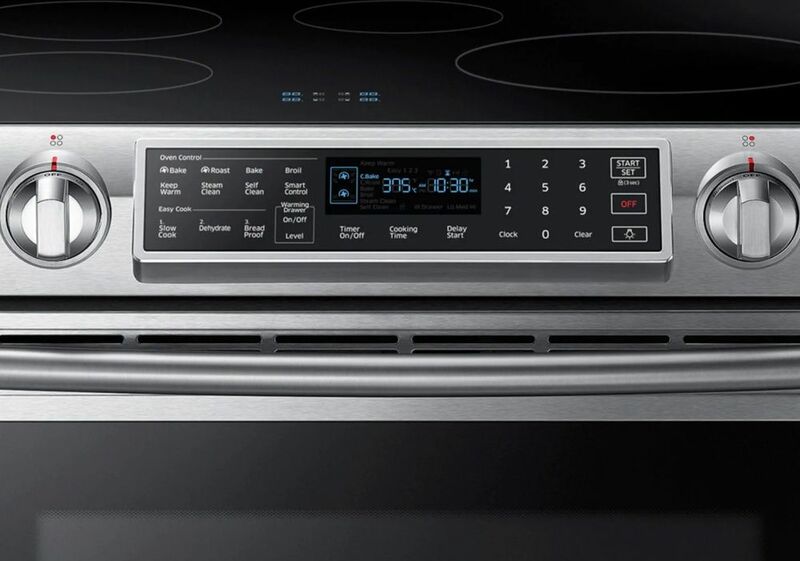 From the convenience of your Smartphone you can turn on/off, preheat, and adjust temperature or time on your oven for ultimate cooking experience. 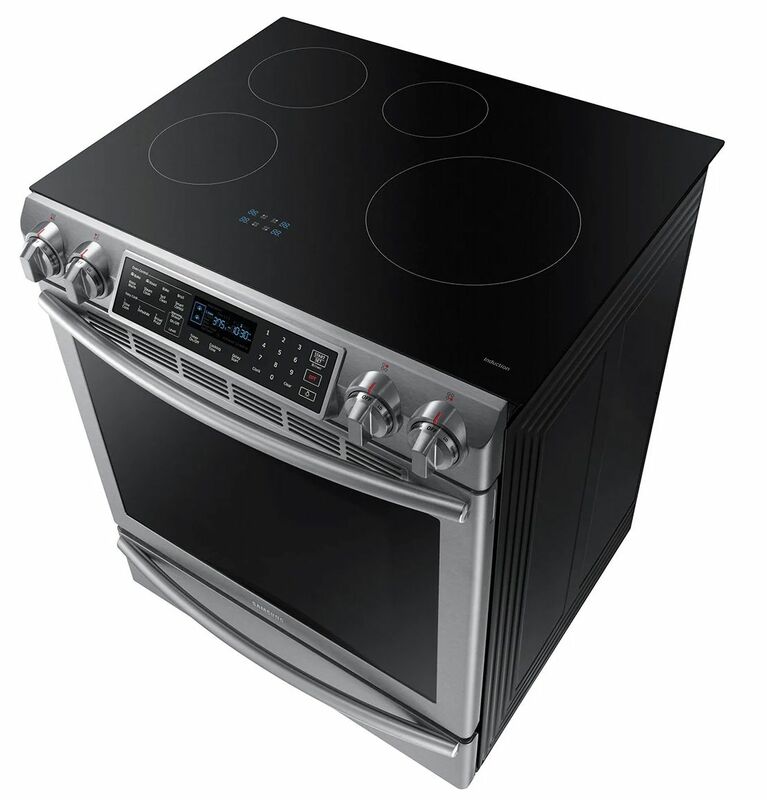 Gives you the visual of gas cooking with the precision of induction cooking. LED lights shine onto pots and pans providing visual cues that the cooktop is on. Blends seamlessly with your kitchen for a modern and built in look. Creates a high-end look without having to remodel. 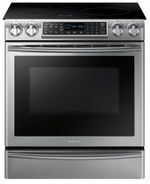 Remotely monitor your cooktop and control your oven with WiFi capability. Cook from anywhere: Use your smart phone to remotely monitor for safety, turn the oven on or off, and adjust the time and temperature. Height: 36 - 37 1/8"